The body’s natural response to stress is a flood of cortisol, adrenaline and other hormones that provide a short burst of energy. This worked well for our ancestors when they encountered dangerous situations, like a wild animal in the woods. But a modern lifestyle is a constant source of stress, and our overworked adrenal glands can have a hard time holding up under weeks, months, or years of pressure. Without proper support, the adrenal system can quickly go from fatigue to failure. At Cincinnati Health Institute we use the Adrenal Support Protocol by DesBio. In the early stages of stress there may be a short term burst of energy and alertness, but a subsequent crash towards the afternoon and end of day. Over time, day to day function may start to suffer. During the 1st phase of adrenal fatigue we recommend taking a good multivitamin like Omni Essentials. The Adrenal protocol for beginning stage adrenal fatigue is Liposomal Calm, Vitalyze and Stress EZ. As the adrenals begin to struggle the body produces a shortage of cortisol. This shortage results in irritability, anxiety and sleep difficulties. The immune system and metabolism may become impaired. Libido may go down. During the 2nd phase of adrenal fatigue we recommend taking a good multivitamin like Omni Essentials. The Adrenal protocol for beginning stage adrenal fatigue is Vitalyze, Adrenal Synergy, Stress EZ, Hormone Combination and Adrenal Support. Once the adrenals are exhausted, fatigue and anxiety become constant. Metabolism is severely affected and weight gain results. During the 3rd phase of adrenal fatigue we recommend taking a good multivitamin like Omni Essentials. 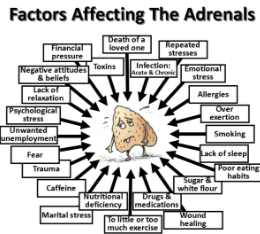 The Adrenal protocol for the exhaustion stage adrenal fatigue is Adrenal Synergy, Hormone Combination, Female/Male Stimulant and Adrenal Support. 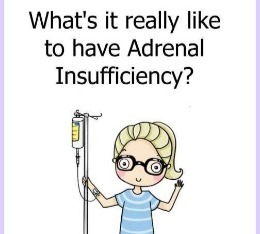 As the adrenals shut down and stop working, patients experience severe symptoms like Addison's disease, the inability to make hormones, weight gain. During the final phase of adrenal fatigue we recommend taking a good multivitamin like Omni Essentials. The Adrenal protocol for final phase adrenal fatigue is Adrenal Synergy, Hormone Combination, Female/Male Stimulant and Adrenal Support.